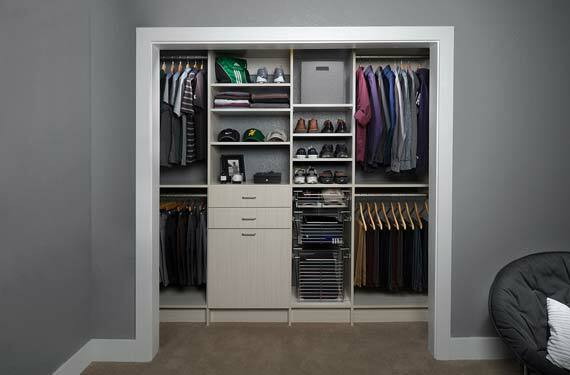 There is a lot of potential in reach-in closets but only if they are designed properly. 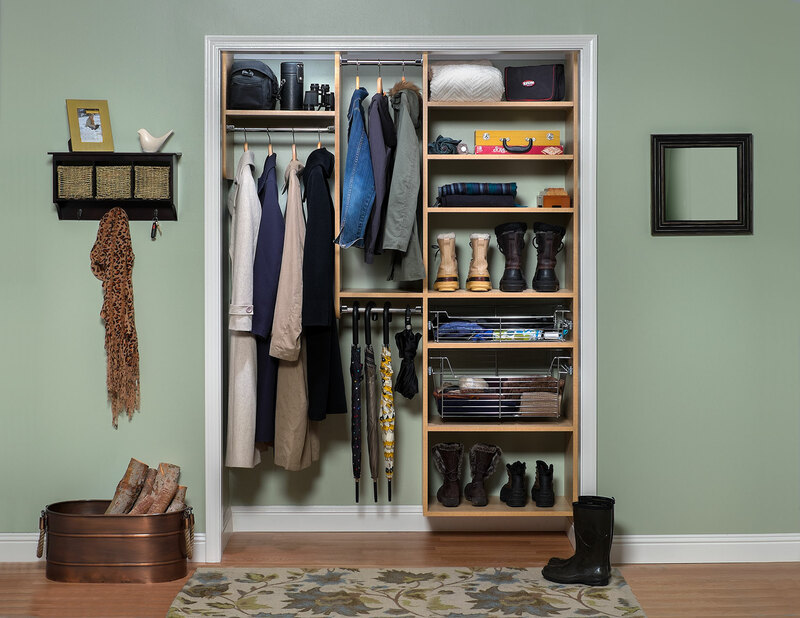 At Austin Discount Closets, we have all the tools you need to order a custom reach-in closet organization system that will optimize your space and perfectly suit any wardrobe. 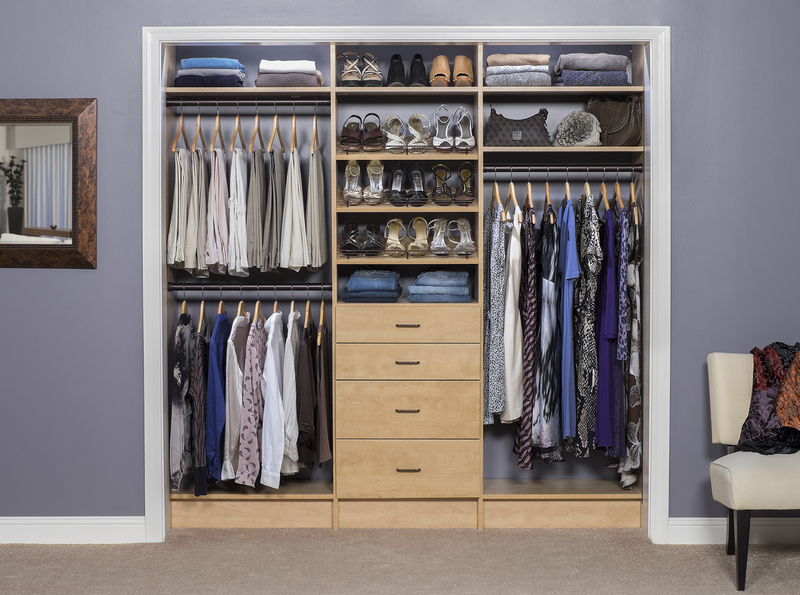 With years of experience in planning, designing and constructing reach-in closets for spaces of all sizes, we can make personalized recommendations for your home so you get the superior closet organization solutions that best suit your style. 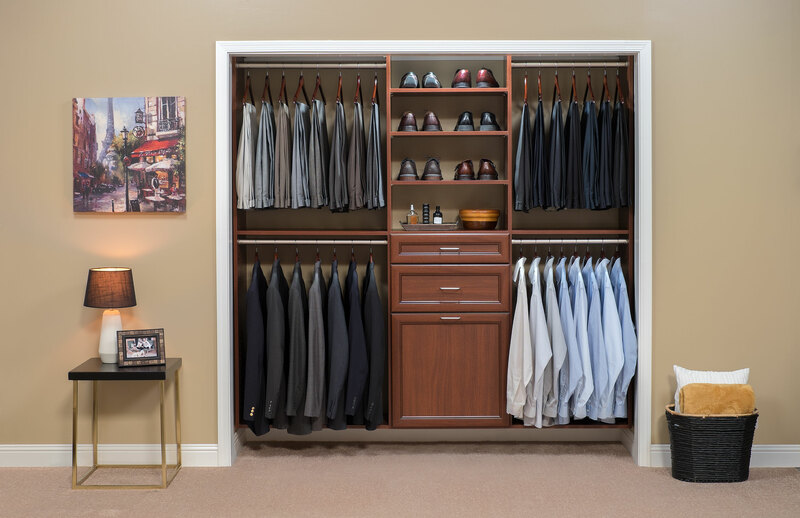 We use high-quality materials in order to ensure a lasting look for your closet that you can enjoy for years to come. 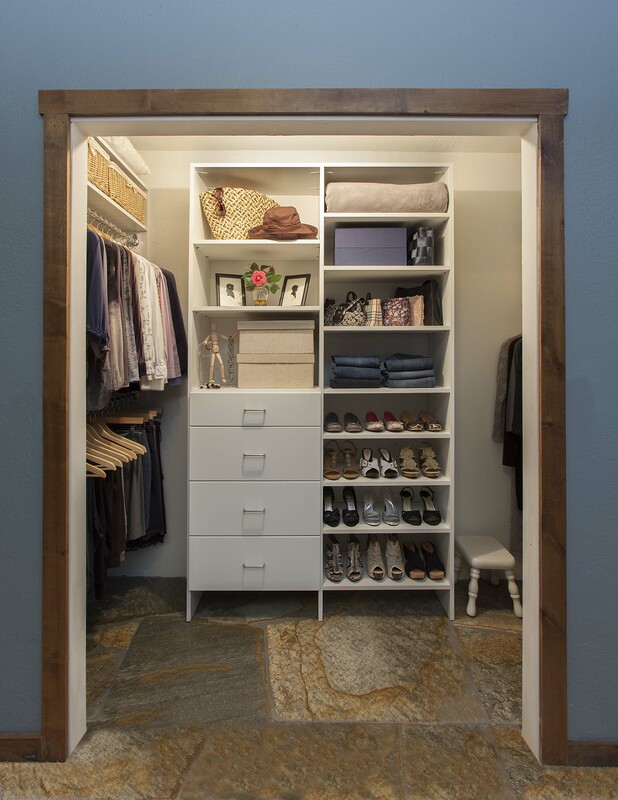 Space-saving accessories like belt and tie racks, tile-out hampers or slide-out scarves, slide-out swivel mirrors, and premium hanging rods allow you to customize your reach-in closet design to your heart’s content. 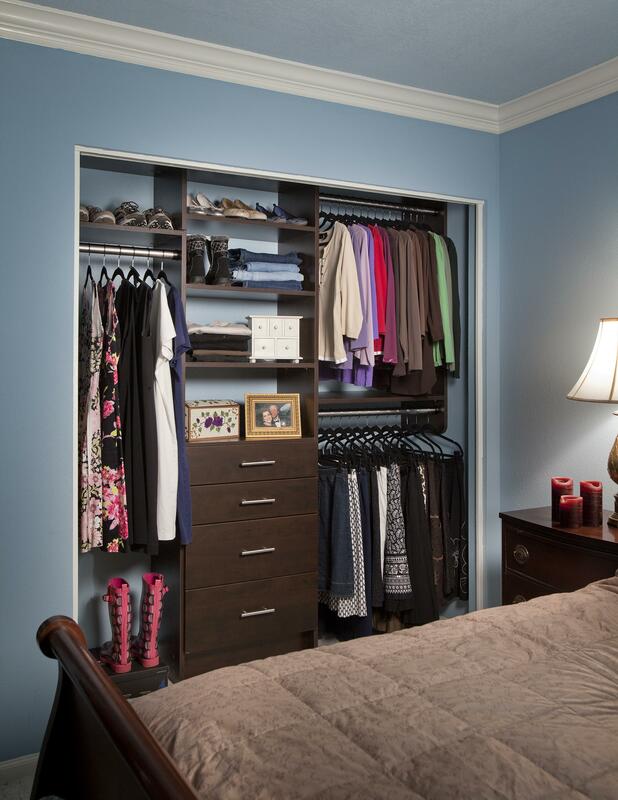 When it comes to customizing your custom reach-in closet in Austin, TX, the options are endless! 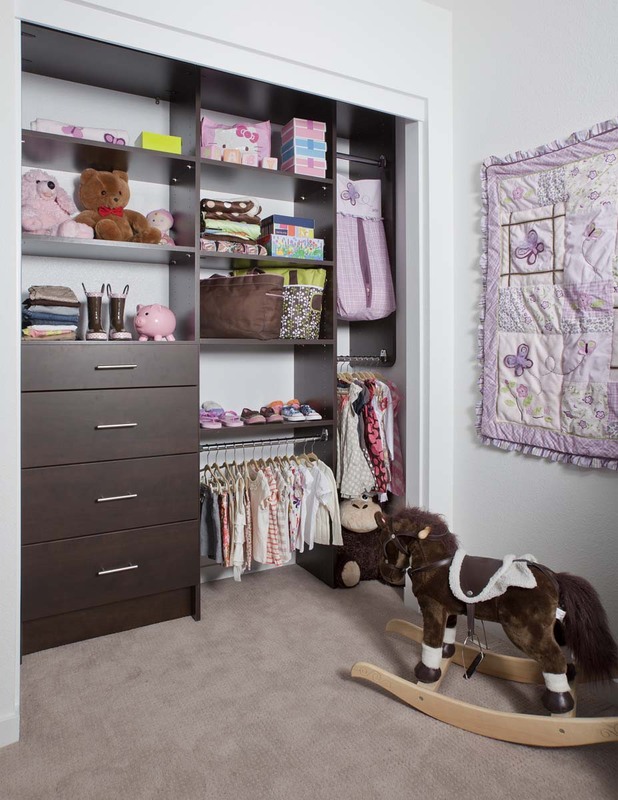 Children’s closets often require different designs than the closets we build for adults in Austin, TX. Toys, books and clothing, both folded and hanging, all need their own space. Getting the kids ready each morning can be made much easier for Mom and Dad by simply having an organized space for everything. 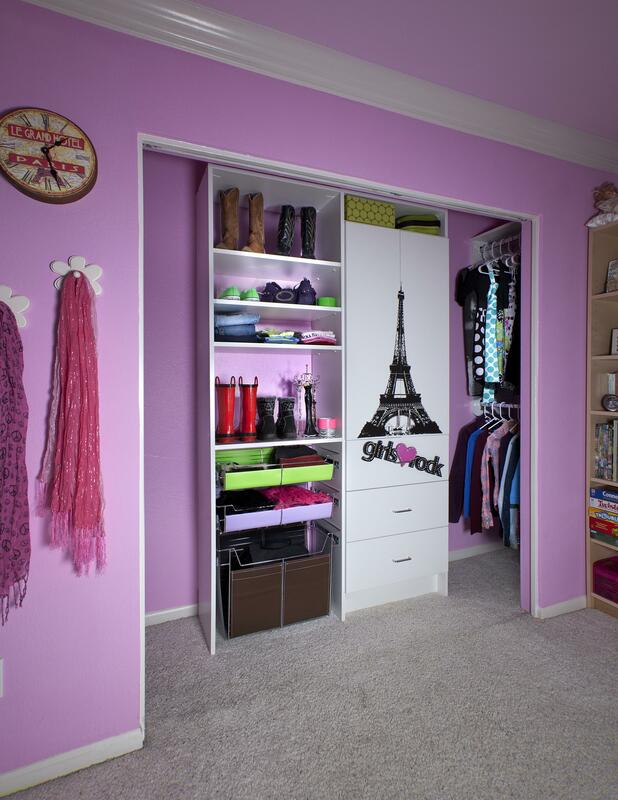 Movable shelves and hanging rods are a great design concept for kids’ closets as they allow you to change the look and function of the closet as the child grows. This helps keep everything at just the right height for years to come. 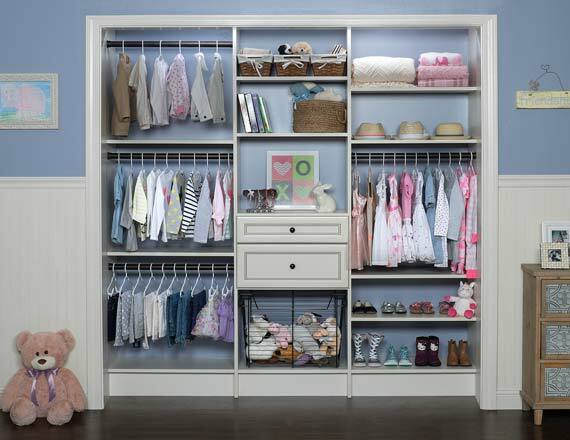 Children who love their independence and want to pick out their own clothes will love having low-hanging rods and floor-level shoe organizers to make getting ready in the morning a snap! 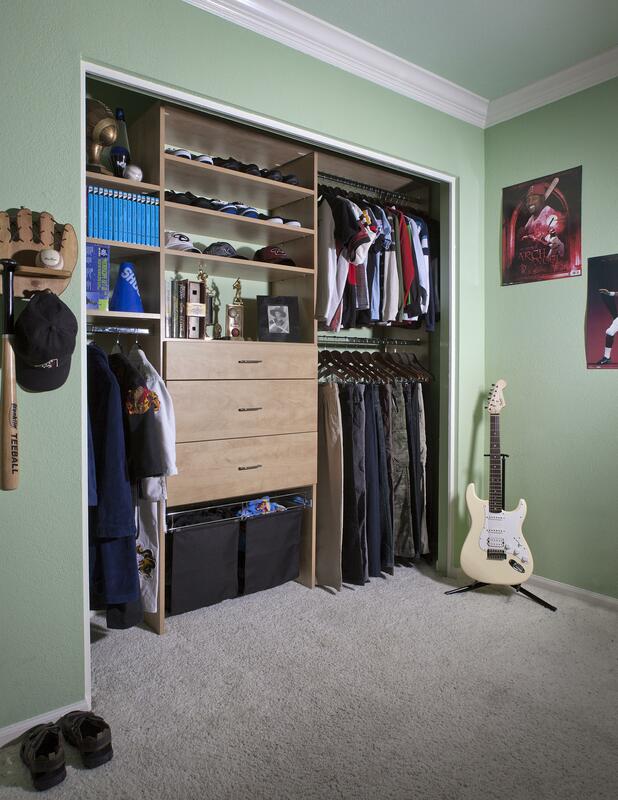 At Austin Discount Closets, we design and organize the ultimate reach-in closet solution for your whole family, adults and children alike. 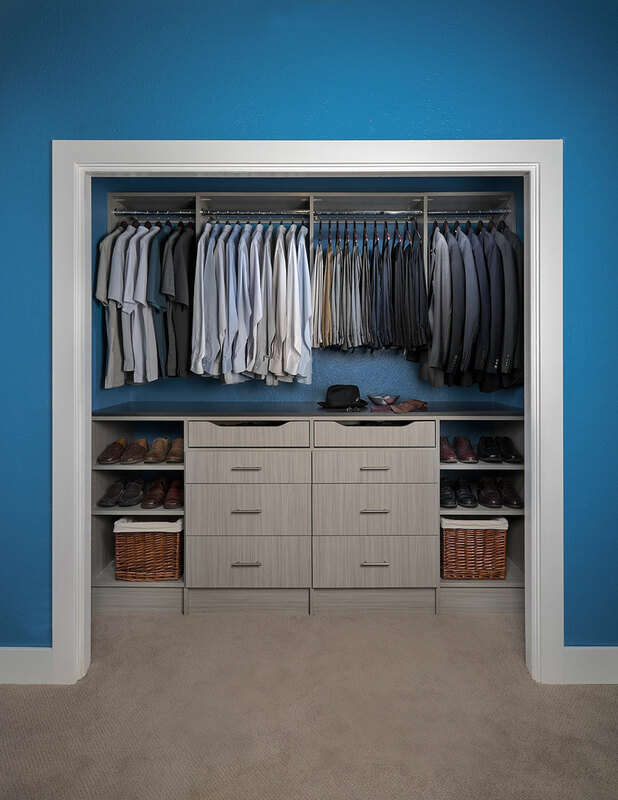 Choose from a variety of styles and colors to make your reach-in closet system truly your own.